Our first ever deal of the week is this stylish Breitling Chronomat Blackbird, a rare limited edition timepiece (1 of 2000 produced). 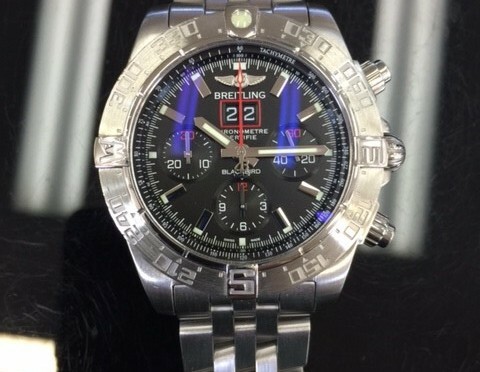 After the popular original Blackbird was discontinued in 2011, Breitling made a single limited production run of this highly sought after model featuring an updated dial and red accents that really set it apart from the original Blackbird. 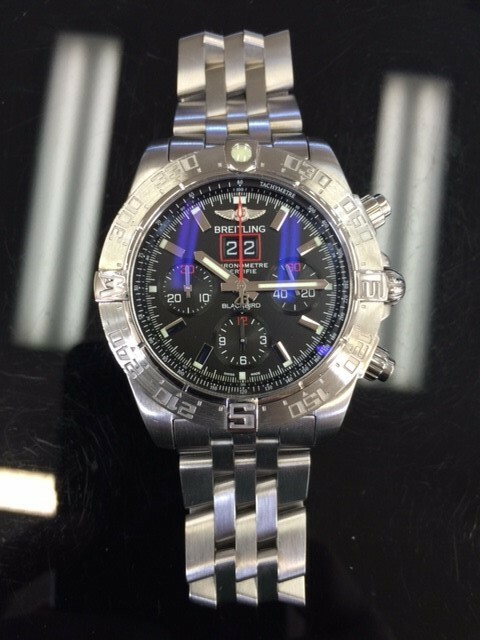 Case: Original Breitling stainless steel case; 43.7 mm in diameter with screwed-down crown and pushers. Movement: Original Breitling self-winding automatic; officially certified chronometer movement; chronograph function. Bracelet: Original Breitling stainless steel bracelet with flip-lock clasp; fits 8.5″ wrist. Condition: Excellent condition; running strong and keeping the accurate time. Dial: Original Breitling black dial with red accents; baton luminous hands and index hour markers; big date aperture at 12 o’clock. Bezel: Original Breitling stainless steel unidirectional rotating bezel; 0-60 elapsed-time; four 15 minute markers. Box & Papers: Breitling box, no papers.